Leave Barron Trump and His T-Shirts AloneChelsea Clinton comes to his defense. Here’s Chelsea Clinton Responding to an Awkward Joke About Her MomThings got awkward at Variety’s Power of Women luncheon. Chelsea Clinton Says She’s Definitely Not Running for OfficeDespite rumors. Guess What Chelsea Clinton’s New Children’s Book Is CalledThank you, Mitch McConnell. Chelsea Clinton Was Spotted at Tanya Taylor’s New York Fashion Week ShowShe slipped in under the radar. Chelsea Clinton Stood Up for Barron Trump on TwitterChelsea tweeted to defend Barron on Sunday … and to trash his father’s policies. Chelsea Clinton Is Reportedly Gearing Up for a Congressional RunThis is the song that never ends. Here’s How Chelsea Clinton Reacted to Donald Trump Calling Her Mom ‘Nasty’She was just worried about Social Security. 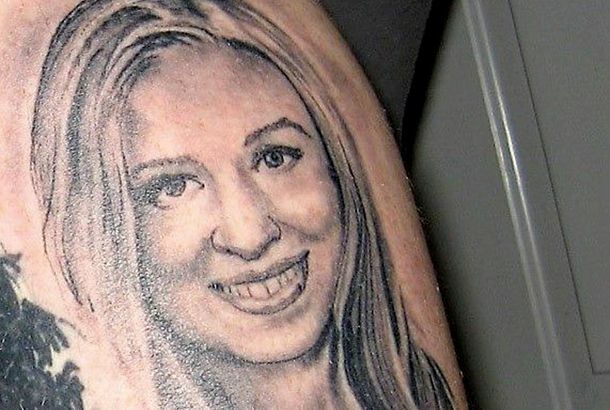 Count Chelsea Clinton Among Those Who Didn’t Know Hillary Clinton Had PneumoniaShe says she found out when her mom showed up at her apartment on September 11. Donald Trump Reportedly Tried to Invite Himself to Chelsea Clinton’s WeddingDonald Trump: wedding guest from hell. 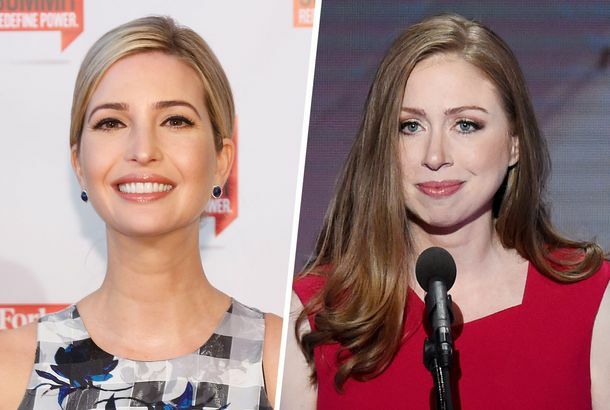 Ivanka Trump Is Still Pretending She and Chelsea Clinton Are FriendsSure, Ivanka. Chelsea Clinton Has the Perfect Name for Her Dad in the White HouseIt recalls his Irish roots. Chelsea Clinton Wants to Know How Ivanka’s Dad Will Secure Equal Pay for WomenShow her the receipts. Chelsea Clinton Has Given Birth (Again)Chelsea Clinton turned to Twitter to announce the birth of her second child with husband Marc Mezvinsky. Clinton Lets Theranos Throw Her a Fund-raiserNext week, Chelsea Clinton will attend a campaign fund-raiser at Theranos’s Palo Alto headquarters. For Just $2,700 You Can Take a SoulCycle Class With Chelsea ClintonWhat a steal. Chelsea Clinton Is Pregnant AgainShe’s got a little campaign talking point in the oven. Chelsea Clinton Leaving Her Unbelievably Cushy Fake Job at NBCThe one that initially paid her $600,000 a year. Bill Clinton Won a ‘Father of the Year’ Award, and It Was a Real AwardIt’s not a mug.